Sheffield Carnival was successfully launched at the Sheffield Fayre in Norfolk Heritage Park on Monday 28th August 2017. The Sheffield Fayre had its 16th successful year and we were so excited to be partnering with them to add a splash of Carnival. It was a fabulous day, the weather was kind to us and we had thousands of people turn up to support our event. The carnival was started with the “Sheffield Shines” parade which aims to celebrate everything Sheffield, the history, culture and heritage of Sheffield and what makes Sheffield unique and to showcase and celebrate the many cultures that reside in Sheffield. 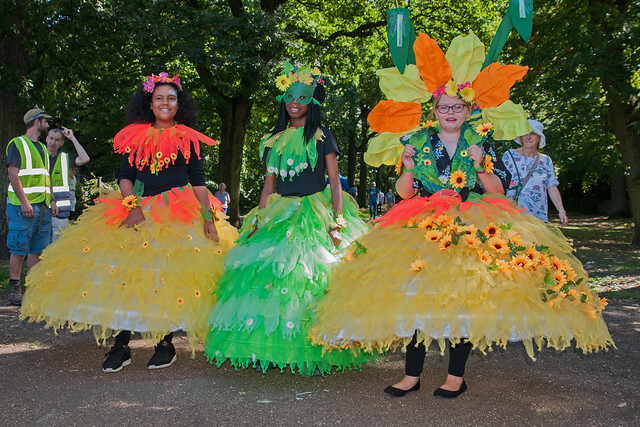 The parade was made up of children and local people, displaying carnival costumes made in our workshops with the support of our team and volunteers. The theme for 2017 was “Sheffield in Bloom” which was made up of tons of flowers! As well as the costumes attractions on the day included stalls, food, music, children’s rides, stage performances from local talent, carnival crafts tent, an interactive cultural workshops which included African drumming, dancing, Reggaecize and Indian dancing workshops and great music! 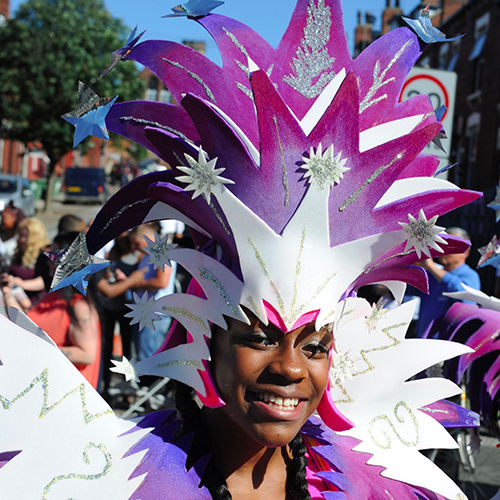 The Carnival spirit has been missing from Sheffield for over 20 years and we brought it back with a bang!